As always, most of the western and mainstream media analysis on this part of Egypt are especially biased and highly politicized, merely serving the interest of western governments and their Egyptian military ally Sisi without any consideration to the reality of the situation on the ground nor any due respect to the Egyptian victims. 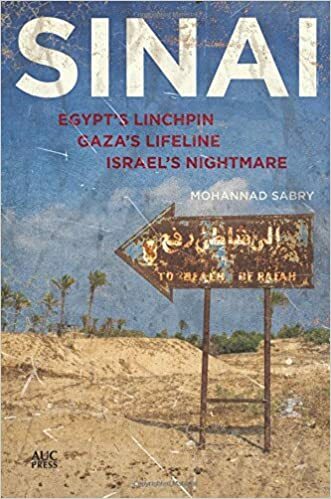 Considering the lack of balanced writings on Sinai, and that Egyptian voices from Sinai are rarely heard and forcibly silenced by the Egyptian regime and the international media alike, we wanted to share the following English tweets on Sinai by researcher and journalist Mohannad Sabry. He hasn't said anything publicly since June 2017 but decided to speak up since the last massacre has hit his close friends and family hard. Mohannad Sabry is an Egyptian journalist who has reported extensively from the Sinai Peninsula. He was named a finalist for the 2011 Livingston Award for International Reporting and has been published in Foreign Policy, The Miami Herald, GlobalPost, Al-Monitor, and many other international publications. He was the field producer of PBS Frontline's "Egypt in Crisis," aired in 2013 and nominated for the 2014 Emmy Award for News and Documentary. 1) Out of respect to the fallen, dozens of which are relatives of my dearest friends & colleagues in #Sinai, I decided to break months of silence & write my little thoughts on Friday's #Rawda massacre and #Sisi's so-called war on terror. 2) #Rawda, and Bir ElAbd for that matter, are literally surrounded by military encampments from all sides. One example is the Bardawil Lake, a military zone where fishermen are reeling from the army's control over everything, a few kilometers away from the massacre scene. 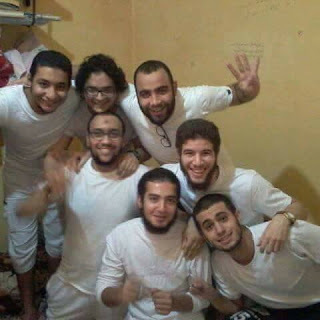 3) #Sisi, his regime, military & security departments, as well as journalists, researchers and locals, know that the Sufi community, and the Jararat clan of the Sawarka tribe, are a prime target of #ISIS, their figures and clerics have been assassinated over the past years. 4) #Sinai's Sufi community, for decades, has succeeded in accomplishing what billions of dollars and hundreds of military lives squandered over the past years in #Sisi's military campaign couldn’t achieve: Keeping thousands of youth from joining ISIS or picking up arms. 5) Bir ElAbd is a part of North #Sinai which the military has claimed over and over again that it maintains full control over, but Sisi's Egypt is a live example of how ironfisted military presence doesn’t in any way resemble control, it just provides easy targets for terrorists. 6) Once again, #ISIS, or whoever is behind the #Rawda massacre, with as little as a bunch of machine guns & SUVs, have destroyed the false claims of success and accomplishments echoed for years by #Sisi's regime and the Egyptian military. 7) As for the military response & expecting any shift in its strategy, if #Sisi cared to change any of this, he would have over hundreds of military and police deaths, including some of the field commanders of the #Sinai campaign. 8) It is simply naïve, and stupid, to think that the Egyptian military, which killed scores of civilians during its reckless bombardment of villages south of #SheikhZuwayyed & #Rafah, will suddenly overhaul its policy over the death of civilians in a terrorist attack. 9) Most importantly, #Sisi & his military have always used and capitalized on terror attacks to justify and further intensify their oppressive and lethal control over #Egypt, not just #Sinai. I wonder if defeating terrorism is a top priority for this regime. 10) Finally, each and every one of the #Rawda massacre victims, was a true, powerful and peaceful shield in the face of terrorism and its bloody doctrine. May they rest in peace.